Our OST-PIT (Operator Safety Training for Powered Industrial Trucks) provides the participant the necessary knowledge regarding the units operation, hazards and safeguards. Our core business is preventing incidents by enlightening operators, providing thorough safety training and ultimately saving lives. This course consists of Classwork, Written testing and (Hands-On) Practical Evaluation. Training is administered by Professional Safety Trainers, specialized in delivering operator training for Forklift equipment. STPlus-OST-PIT is an engaging course that exposes participants to multi-media content, cause & effect accident videos and current events. We are a completely Mobile Company – providing onsite training at your location alleviating participant travel. All participants are issued course completion certificate and photo ID cards, (with successful course completion). STPlus provides and maintains all necessary recordkeeping and made available to customer 24/7. This training will help to minimize “loss time accidents” and help to maintain or improve your EMR – Experience Modification Rating. Provide Professional Instruction / Training – for Operators that is consistent with the applicable OSHA/ ANSI Standards. 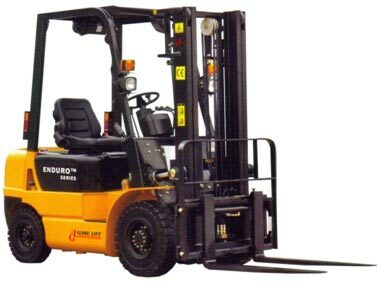 Upon completion of this course each participant will be able to operate and drive a powered industrial vehicle in accordance with safety rules and practices contained in the Lift Truck Operator book. This course is conducted at customer facility utilizing customer material-handling equipment; to effectively demonstrate operator workplace conditions. 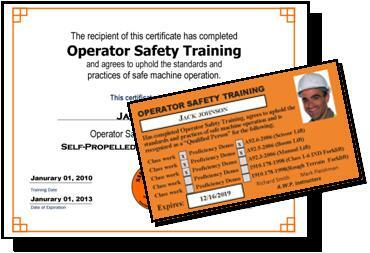 This operator status will be validated by the issuance, with successful course completion, a Course Completion Certificate and Photo ID Wallet Card by Safety Training Plus, and is valid for 3 years. Approximately (4) Hours is required to administer the operator safety training, however class size and operator’s skill set do have an effect on the course duration. Though there are no specific prerequisites trainees must have a working knowledge of the equipment being operated.